You can buy your cake from a baker you may not remember the face of or go to a lab and get blood tests and not remember the face of the nurse who sucked the blood out of you, yet encounter other professional relationships where you have to spend a large portion of your time with and share more than the usual greetings. Among these professionals is your interior designer, whom you hired to design your personal or work space. Either way, there are major points to take into consideration when selecting who to hand your space over to. Your interior designer is a person you will inevitably have to like due to the amount of time and information you will have to share with. The sharing may include meals, family gatherings , family feuds, and times when you freak out and need confirmation that everything will be OK.
You might never think about this, but in reality your interior designer will know more about you than you ever intended. Your ID will be studying your behavior, your likes and pet peeves,in addition to some of your most intimate details, and trust me that’s NOT the highlight of our job. We need to know whether you use a bidet when you use your bathroom, and whether you and your spouse need a large bed or will be using separate rooms. Most of these details you might not share even with the closest people to you. In addition to chemistry, you should find in your designer qualifications that make them “reliable”. Someone who has seen it all and is up to date on all new technologies and trends. Someone who can come up with solutions to the biggest problems on the spot, and come up with multiple solutions for a single dilemma. A good ID would listen to what you have to say and give you quick pieces of advice that make it easy for you to spot if they are what you are looking for. 1- Always ask for references, try to see photos of their work and let them explain what they did and how they tackled the problems they encountered. 2- Always ask about work procedures, how will the study be conducted and what is considered within their scope of work. Many ID seekers have no idea what an interior designer does, and that should be clarified from the first meeting. 3- Ask people about their work and ethics. People might not always give credible answers, but that’s up to you to spot a bitter person from a sincere one who has truly suffered. 4- Ask for a first meeting. Take them to the place you want to design, check how they treat you and your project. Beware of those who give out false hopes. Look for the realistic, yet not pessimistic, the creative, not the “we’ve done it a 100 times, we’ll do it for you as well” designers. 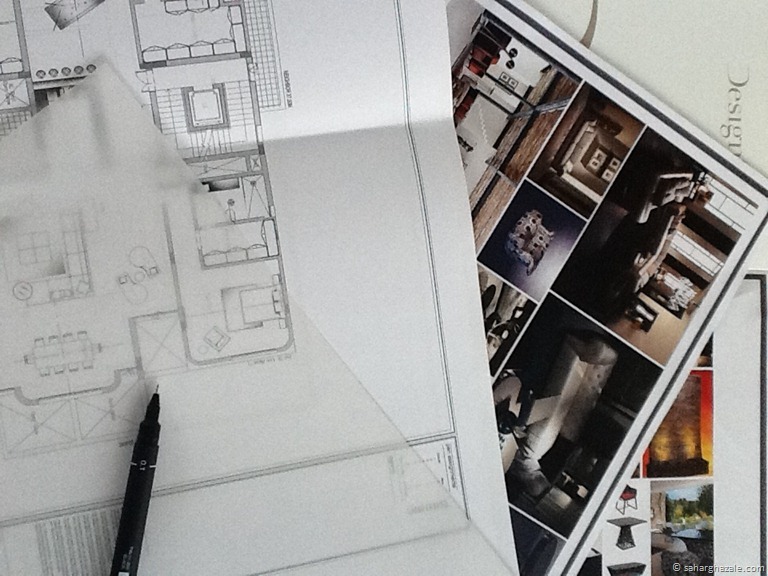 After your first meeting , the interior designer should lead the way. Your designer should explain to you how they will be saving you time and money and not the other way around. At this stage, try to provide drawings of the space you intend to design, or schedule a site visit, that should enable them to issue a proposal stating all you discussed and be clear in terms of phases of work and fees. From then on, you should have all the elements that should help you decide whether to hire them or not. Last tip, ask as many questions as you like, after all you are going to be spending a great deal of your time with your interior designer, this contract will tie you together for a great deal of time! If you have any questions or need any tips, please ask away!